Hope everyone is doing good, I haven’t done one of these in a while (a ‘just wine’ blog) cos my photo editor Picnik went down so I’ve got a few posts ready to roll once I find a suitable replacement. Sooooo just for you guys, I only tasted ONE bottle today so little photo editing was required….sigh the things I do for you guys…. Before we start, just a quick shout out to my recent followers tiffanybushell and 3 email followers, one of which is Janine from Yarra Yering (yippiee!!) where I recently had the pleasure of tasking their wines! Tells ya what, be on the lookout for that post. I also linked some of my foodie posts to urbanspoon so be sure to check them out again if your hungery 🙂 This gets me to 19 followers so to anyone out there….common! Get me to 20! 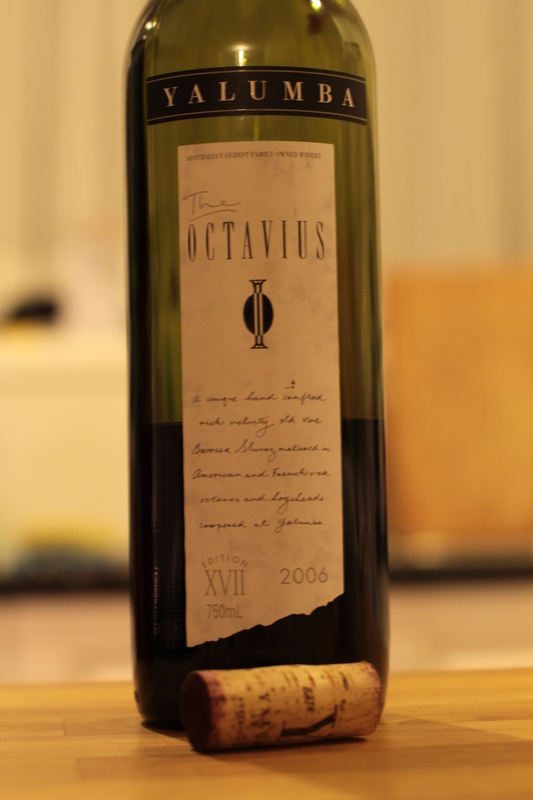 So, today I got to try a pretty well known wine….